One of the first booths we saw at the New Jersey Horror Con was a necklace booth (of course). 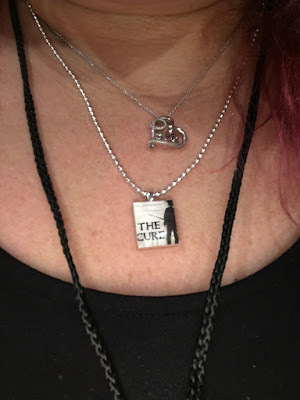 I fell in love with this Cure necklace. Isn't it awesome?!?! I wore it the entire weekend - definitely need to get better at the resin so I can make these adorable things myself.